When to use But vs. However? Ana Hero Asked on 15/09/2015 in English Grammar. 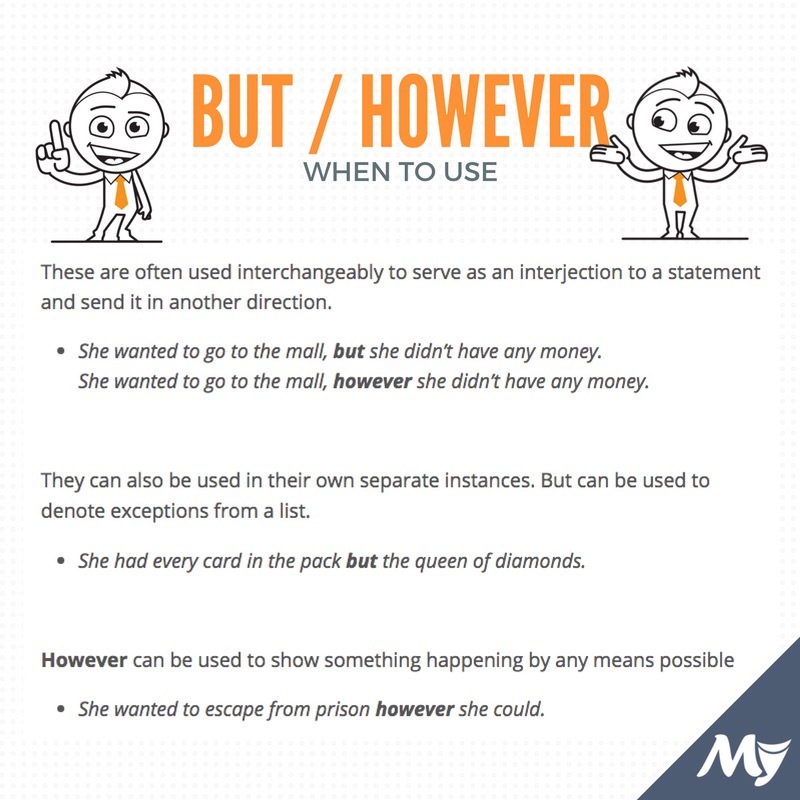 These are often used interchangeably to serve as an interjection to a statement and send it in another direction. She wanted to go to the mall, but she didn’t have any money. She wanted to go to the mall, however she didn’t have any money. They can also be used in their own separate instances. But can be used to denote exceptions from a list. She had every card in the pack but the queen of diamonds. She wanted to escape from prison however she could. These words are most commonly used in the first description. Examples of Conjunction Words in a Sentence! Zak Curious Answered on 18/09/2015.